"We revolutionized personal mobility with ridesharing, and we are leveraging our platform to redefine the massive meal delivery and logistics industries. While we have had unparalleled growth at scale, we are just getting started." The move comes after a lackluster market debut for Uber's U.S. rival Lyft, which has lost more than 10% of its value since its IPO last month. Uber and Lyft both are predicting that ride-hailing will gain even more traction with autonomous vehicles, allowing more people to give up private cars and freeing up more urban space. "We believe that autonomous vehicle technologies will enable a product that competes with the cost of personal vehicle ownership and usage, and represents the future of transportation," Uber's filing said. Analysts have warned that Uber and Lyft face a difficult road to profitability amid challenges from regulators and established taxi operators around the world. Some question the business model of using independent contractors as drivers -- a system which the companies say is more flexible and leads to entrepreneurial spirit. Uber's revenue grew 42% last year to $11.2 billion but it continued to lose money from its operations. A net profit was reported for the year from a large asset sale, but operational losses were more than $3 billion. 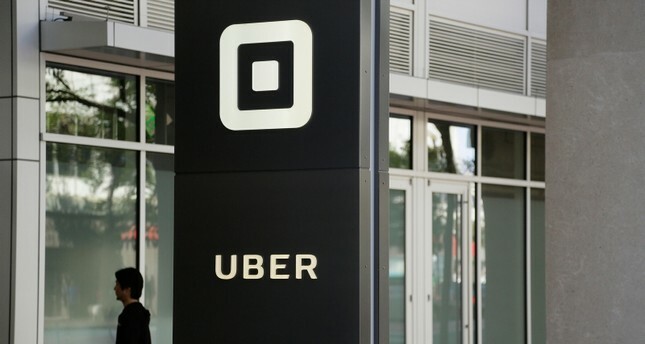 "Investors should be ready for a lot of volatility" in Uber, said Scott Rostan, a former investment banker who is currently an adjunct professor at the University of North Carolina. "In my opinion if you are buying into Uber or Lyft you're buying into a belief this is going to revolutionize transportation in the future. But a good business doesn't necessarily mean a good investment." Rostan added that both firms will be seeking to step up growth and that "if it turns into a market share fight between Uber and Lyft, profitability is going to be tough." Daniel Ives of Wedbush Securities noted that the ride-hailing firms will face competition from other autonomous driving firms including the former Google car unit Waymo. "Lyft's IPO was supposed to be a watershed moment for the highly anticipated 2019 tech IPO class," Ives said in a research note. "With Uber, investors will soon have a second option to make a bet on the future of mobility and transportation with the clear market share leader, while competitor focus will likely also zero in on Waymo/Google."